This is not a Jailbreaking tool, it let you upload your own homebrew applications on your Windows Phone 7 device without going through Microsoft’s expensive ($99/year) developer program. 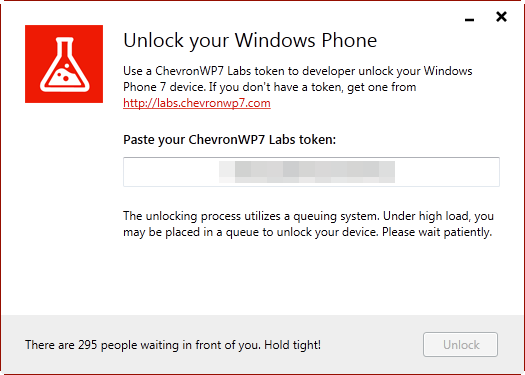 Still waiting that the 295 people in front of me get their phones unlocked… ! Update: And here is the result after unlocking ! 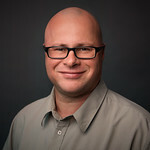 I also quickly deployed successfully an application to the phone directly from Visual Studio 2010 ! 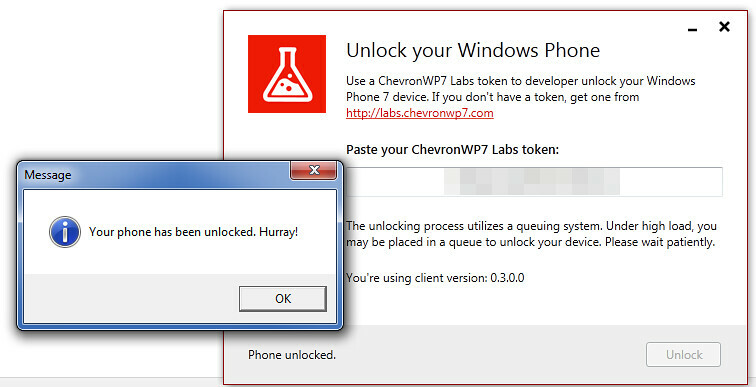 Congrats to the ChevronWP7 team !